SUP racing continues to grow in the North, with two big races held in Canada on the weekend. 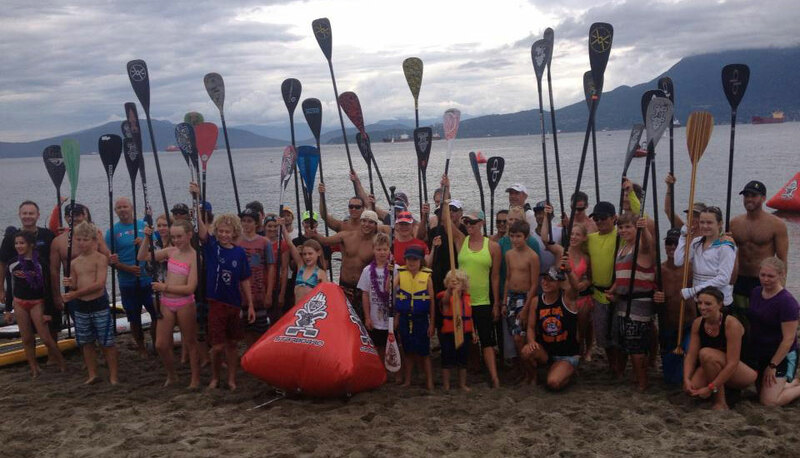 While Kalama and the Mad Scientist were having fun in Edmonton, a whole bunch of Canada’s best (and a few paddlers South of the border) were battling it out at the Vancouver SUP Challenge. Exciting racing at the 3rd annual Vancouver SUP Challenge. On the men’s side it was Stuart Robinson who edged out Dan Gavere for the overall men’s title. 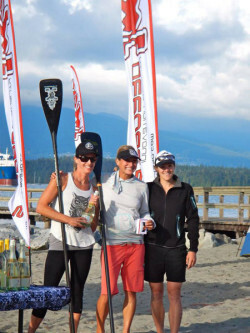 It was a close battle between Lina Augaitis and Shannon Bell on the women’s side, with Lina, in good form from her wins in Tahoe and San Francisco, took the title. 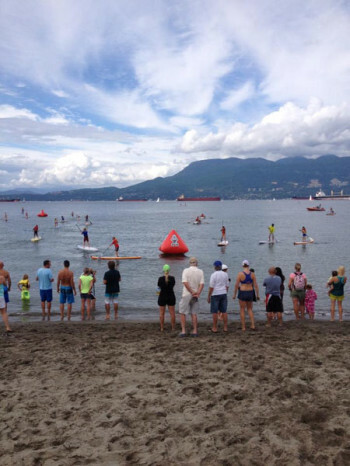 The highlight of the day though was the kid’s race with buoy turns, beach runs, leis and popsicles at the finish line. 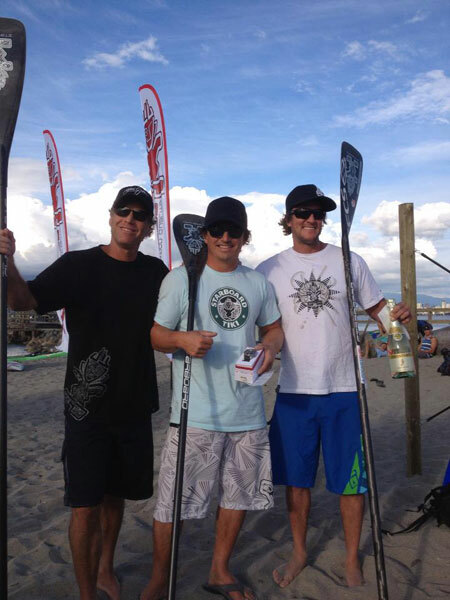 Post race awards on the beach while listening to the surf tunes of the Swagmen finished off a great day of racing!